Opinion: Do blue notes actually improve your memory performance? All of my notes are in blue ink because writing in blue ink is supposed to help with remembering information. I don’t really know if that’s true, but I write in blue ink anyway. Maybe it’s a myth, maybe it’s not. Here’s a look into the influence of color on memory performance, and whether blue ink actually helps with retention. Most of what we read is in black text, from social media posts to chemistry textbooks to this article. Black text is default to us, so notes written in black ink don’t stimulate much thought or attention. When taking notes, it may be best to write general information in black ink and opt for other colors when recording important details. A 2009 color study from the University of British Columbia (UBC) revealed that the color red “boosted performance on detail-oriented tasks such as memory retrieval and proofreading by as much as 31 percent compared to blue.” According to Juliet Zhu, co-author of the study, red is a color often associated with danger and mistakes, prompting people to be more cautious and attentive of the task at hand. Likewise, writing notes in red ink is expected to increase attention level, therefore increasing the chances of information being stored for longer. The same study from UBC found that the color blue enhances cognitive performance when it comes to creative tasks such as brainstorming, but falls short compared to red in detailed oriented tasks. 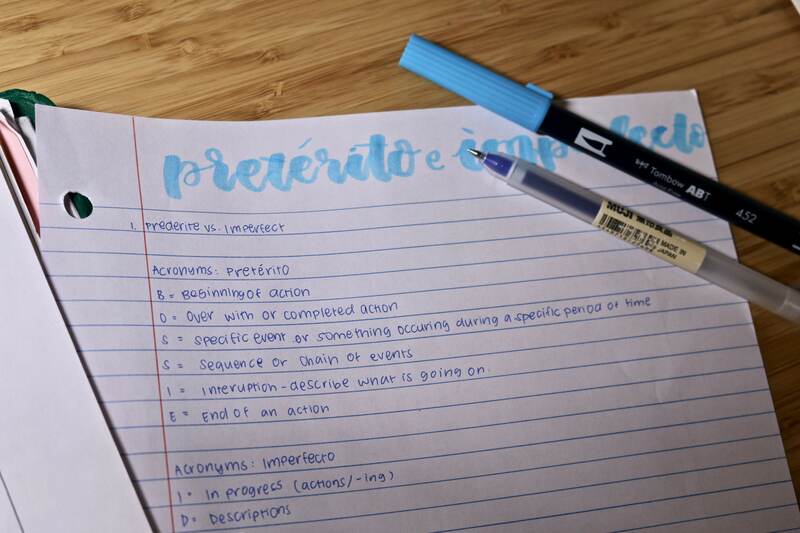 Writing notes in blue ink won’t have a huge impact on your retention; however, blue notes will still be memorable because blue is known to be a trustworthy color that resonates within people. What’s the best ink color to take notes in? Based on my research, there is no one ink color that enhances memory retention. As of now, there are not many studies on the correlation between ink color and recall memory, but we can make some conclusions. It’s obvious that plain black notes won’t stimulate your attention levels to the fullest. And sure, you can write all of your notes in red or blue ink, but one Quora user noted that habitually using an ink color eventually mutes any significant effect on your recall memory. So using one color pen to take notes with won’t do much, but using multiple colors will. Color-coded notes are more memorable when taken strategically. Stick to no more than three colors, be consistent, take thoughtful notes and ace your next exam.